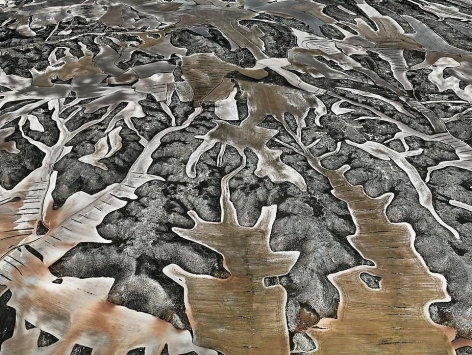 Canadian photographer Edward Burtynsky will have his second solo exhibition, titled Watermarks, in Hong Kong. The artist will attend the exhibition opening as well as screen an award-winning documentary about his work at the Hong Kong Arts Centre. 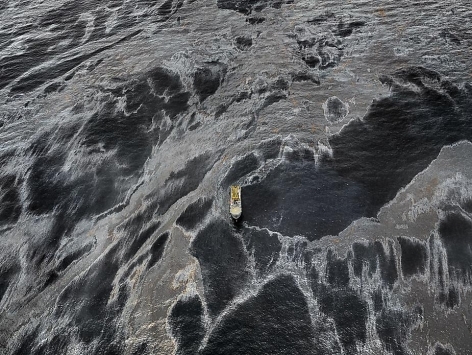 Known for his disarmingly beautiful images of industrial landscapes, Burtynsky will present his most recent series, Water. 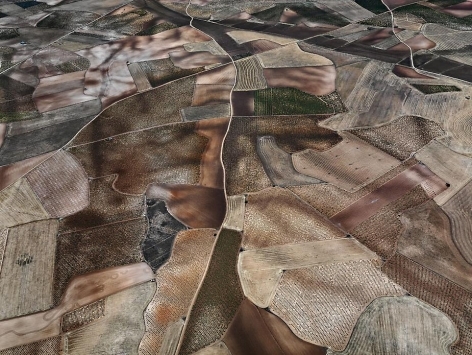 In stunning color and intricate detail, the Water series, begun in 2007, documents the scale and impact of manufacturing and consumption on the world’s water supplies. 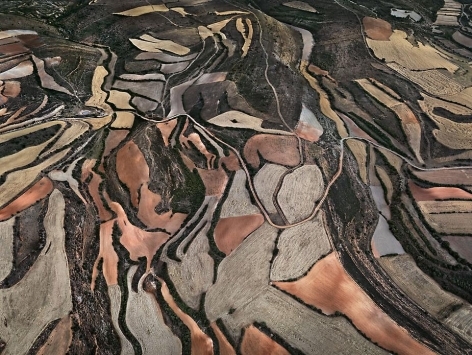 Burtynsky chronicles how human interference is depleting this precious resource, leading to devastated landscapes that are polluted, manipulated and exhausted. More abstract and painterly than his previous work, some of the images in this series no longer even appear to register as photographs. 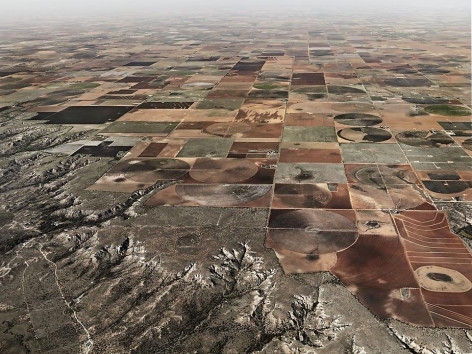 Burtynsky shot the images—dryland farming in Spain, pivot irrigation sites in Texas, and the 2010 oil spill in the Gulf of Mexico—from 7,000 feet above, to obtain the viewpoint necessary to bring the scale of the human imprint on the landscape into more meaningful perspective. 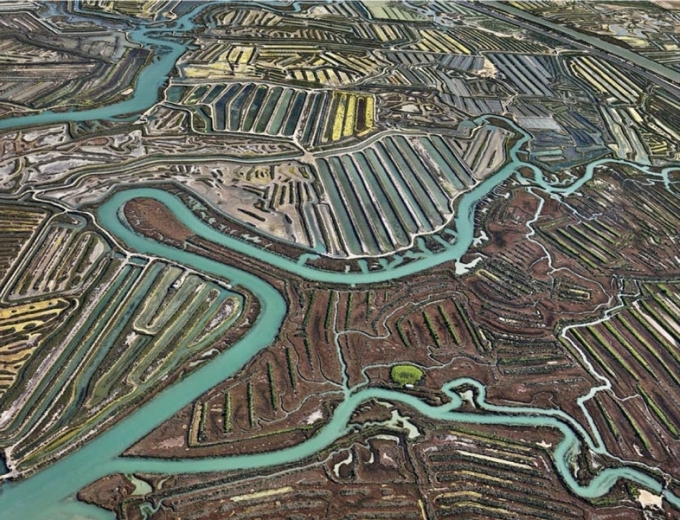 Edward Burtynsky’s works are in the collections of more than fifty museums worldwide, including the Museum of Modern Art, New York; Bibliothèque Nationale, Paris; the Solomon R. Guggenheim Museum, New York; The Photographer’s Gallery, London; Albright-Knox Art Gallery, Buffalo, New York; the Victoria and Albert Museum, London; Reina Sofia Museum, Madrid; and the National Gallery of Canada, Ottawa. 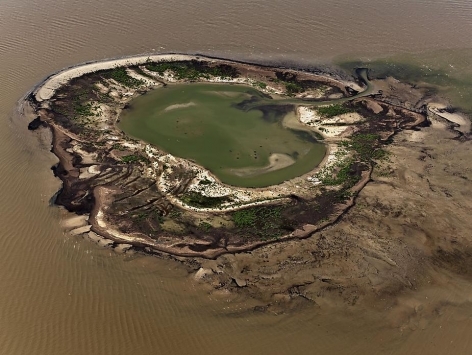 Burtynsky was recognized with a TED award in 2005. 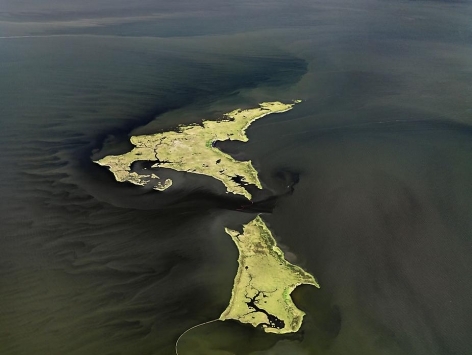 In 2006 he was named an Officer of the Order of Canada, the nation’s highest civilian honor. He holds four honorary doctorate degrees and his distinctions include the National Magazine Award, the MOCCA award, the Outreach Award at the Rencontres d’Arles and the Applied Arts Magazine book award. 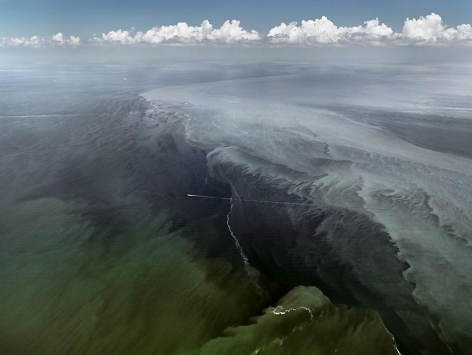 Burtynsky lives and works in Toronto, Canada. 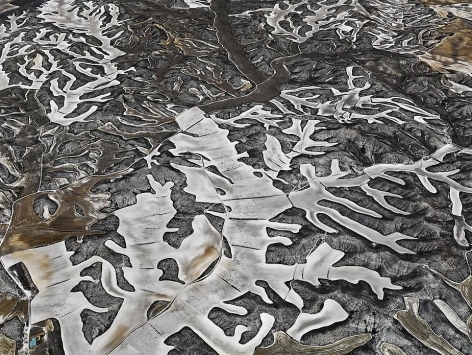 In 2007, Edward Burtynsky was the subject of the award-winning documentary Manufactured Landscapes, which screened at the Sundance Film Festival. Sundaram Tagore Gallery will be showing the film at the Hong Kong Arts Centre’s angès b. CINEMA at 7 pm Wednesday, Oct. 31 to a select group of collectors. The film will be followed by a Q & A with the artist.